Sasha’s 20-year journey into the health and fitness industry began at the age of fifteen when she signed up for the local YMCA’s Fitness Certification Courses and became a certified Group Fitness Instructor, Personal Trainer and Lifeguard. In 2006, she graduated from Dalhousie University, in her hometown of Halifax, Nova Scotia, receiving her BSc (Kinesiology). Sasha moved to the West Coast and found her definition of fitness changed as she started to experience life through her fitness. She also realised her passion in the industry is to help people use their bodies to explore all the adventures life has to offer, both locally and abroad. Sasha has combined her love of training and travel, by completing numerous events from around the globe, and aims to help others do the same. 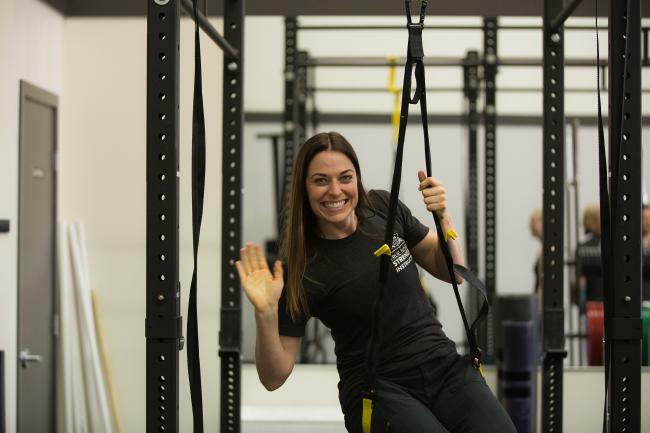 She currently lives in North Vancouver, BC and is the Co-Owner of True North Strength and Fitness in Langley, British Columbia.